Templar Location ‘Temple Church’ Templemeads, Bristol. 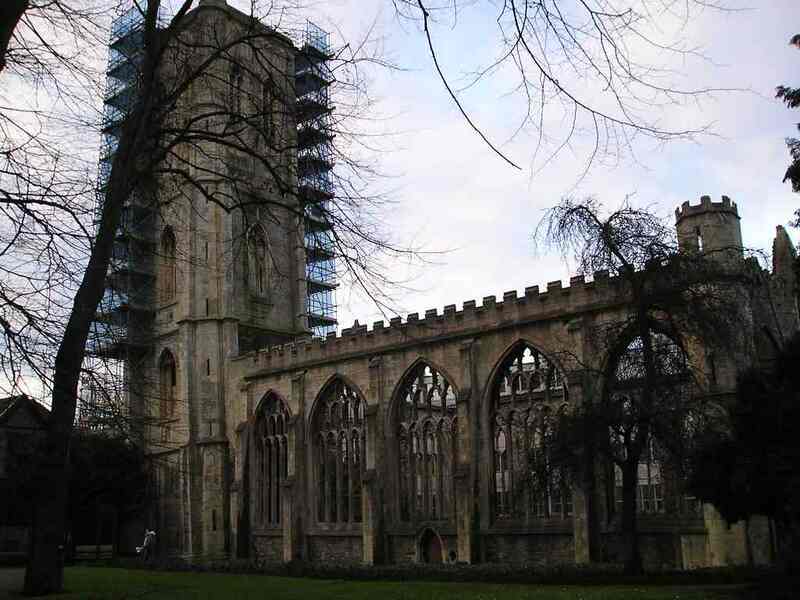 Temple Church, or The Church of the Holy Cross was founded by the Knights Templar c1147 on land donated by Robert of Gloucester, the illegitimate son of Henry I.
Bristol was a major port and this church is located close to the river. Traces of the foundations indicate that the original structure was round or oval dating from about 1150. The oldest part of the existing structure is 14th century, most post dating the abolition of the Templars, though the majority of the remains are still later, from the 15th Century. The tower was put up around 1390 but soon began to lean, due to the poor ground conditions. Further work was carried out to stabilise it and a further stage added in 1460. The lean, totals about 1.5m. The church was hit by bombing during 1942 and never rebuilt.